In honor of Solo: A Star Wars Story’s release on May 25, Star Wars: the Old Republic decided to bring back the Nar Shadda Nightlife event. It’s an appropriate tribute considering the way Solo spends his days. 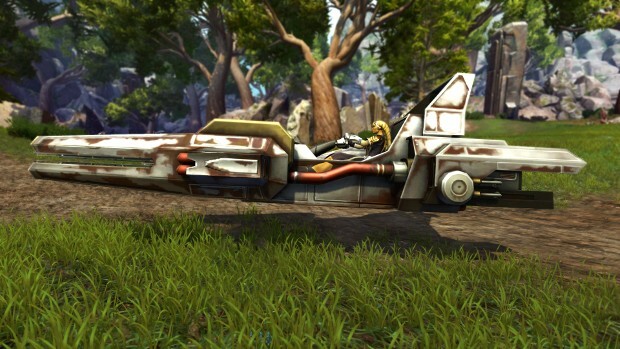 In addition they’ve also added some new items to the Cartel Market and are holding a sale of “Scoundrel specific items. All of this starts today, with the sale ending in ten days. The Nar Shadda event, however, will run through all of June. All of this is part of today’s Update 5.9.1. So if you’re curious as to what other changes and additions were made (including the Double Rewards Event), pop over and read the patch notes. For the most part it’s standard tweaks and changes.